Italian carmaker Fiat might be working hard to turn around Chrysler's fortunes, but it's own figurehead car, the 500, hasn't been as successful as they'd hoped. While the retro-styled minicar has been a massive success in Europe, the 26,000 Fiat 500s sold in its first year in North America was only around half that forecasted by Fiat. In an effort to turn around the model's fortunes, the company is considering bringing a wagon version to America, reports Automotive News. The five-door version is set to be unveiled at the 2012 Geneva Motor Show in early March. Just as rival retro brand MINI has diversified into other markets, so Fiat hopes the 500 wagon will expand the car's appeal by improving its practicality. With five doors and a larger body, the new car is expected to be closer in ethos to the MINI Countryman, rather than Fiat's answer to the MINI Clubman wagon. The new car has apparently been developed specifically for the U.S. market. The name hasn't been confirmed yet, but the model could still carry the 500 badge. If Fiat wanted to dip into its history as MINI has done, the name "Giardiniera" was used back in the 1950s and 1960s to denote the extended, wagon version of the original. The 500 wagon will join this year's Abarth 500, a 1.4-liter, turbocharged performance model, to help improve 500 sales. 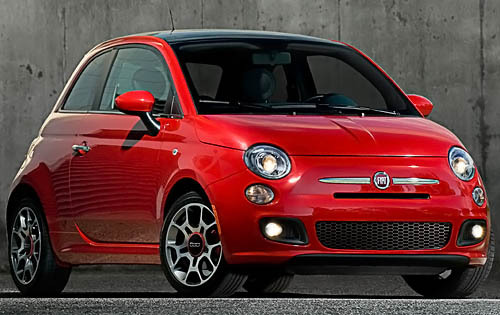 Fiat will also be hoping the new model will improve upon the 500's poor NHTSA crash test rating. The car has been far from a disaster though, and extending the brand could work wonders, just as it has for MINI. Many predicted MINI would fail when it entered the U.S. market (and sold fewer than 25,000 cars in its first year, too) but the brand sold 57,500 vehicles last year. The MINI range now encompasses the regular hatchback, as well as the Coupe, Countryman crossover and Clubman. 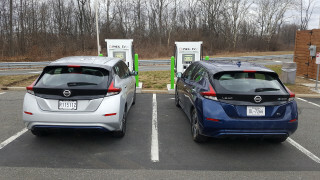 Head of the Fiat brand in North America, Timothy Kuniskis, also explains that the current dealership tally of 137 will expand to over 150, and there are still growth opportunities, with 12 states still lacking a Fiat store. We'll bring you more details on the Fiat 500 wagon as and when they're released, as well as a full run-down in our 2012 Geneva Motor Show coverage.